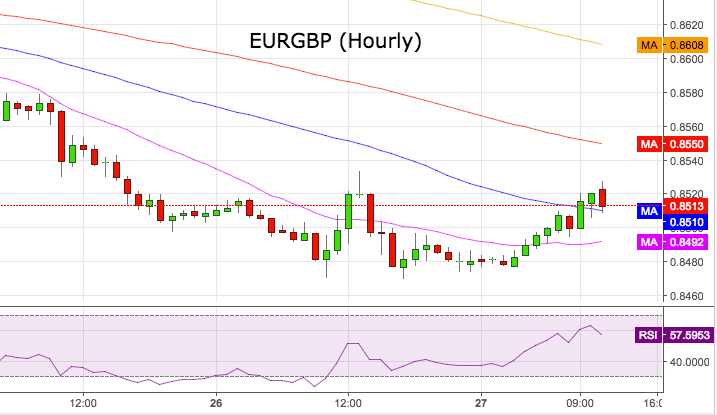 Both the single currency and the Sterling remain under pressure on Friday, prompting EUR/GBP to deflate from session tops in the 0.8530 area. The European cross has practically shrugged off yesterday’s deep sell off to lows in the vicinity of 0.8470 following a significant drop in the EUR in response to a strong pick up in the demand for the US Dollar. EUR/GBP is thus reverting four consecutive sessions of losses backed by the renewed GBP strength. Recall that the British Pound has been recently supported by a conciliatory tone from Theresa May regarding the future of the Brexit negotiations and positive results from the UK docket. 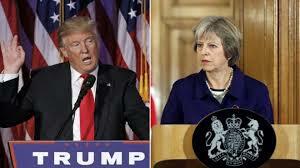 That said, market participants will closely follow today’s meeting between President D.Trump and PM T.May, with a potential trade deal on top of the agenda. On the data front, EMU’s Private Loans rose 2.0% on a year to December, while M3 Money Supply expanded 5% during the same period. On Thursday, UK’s flash GDP figures showed the economy is expected to expand at an annualized 2.2% in Q4. The cross is now gaining 0.42% at 0.8515 facing the next hurdle at 0.8540 (high Jan.26) ahead of 0.8610 (20-day sma) and then 0.8652 (100-day sma). On the downside, a break below 0.8465 (high Jan.26) would expose 0.8446 (low Jan.3) and finally 0.8409 (200-day sma).